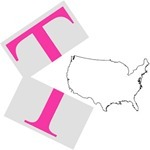 T-Mobile announced today that 25 new markets are coming online for their “3G” HSPA+ network. Seems like no biggie, right - the other 3 big dogs (Verizon, AT&T, and Sprint) all know that 3G is so 2008. Wrong. This isn’t any old 3G network – current tests show speeds anywhere from the same as, to 4 times faster than, WiMax – and T-Mobile’s only rocking HSPA+ 21 Mbps. 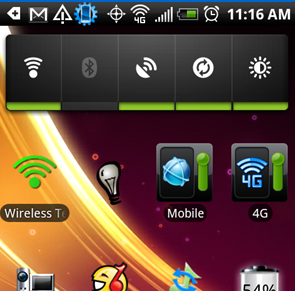 HSPA+ has recently been demonstrated at speeds of 84 Mbps. Is it all about to change? I was getting off Caltrain at Mountain View this morning, playing with the EVO, as usual, when I suddenly noticed the 4G widget somehow switched itself on. A $10 per month Premium Data add-on will apply allowing customers to take advantage of a richer data experience than ever before. The way that the $10/month fee is presented in the press release seems to imply that it would only be applicable to those who can take advantage of Sprint’s 4G network, which is still in the process of rolling out in many parts of the country. Sprint users: have you ever wanted to call somebody or video chat, while surfing the web, all at the same time? 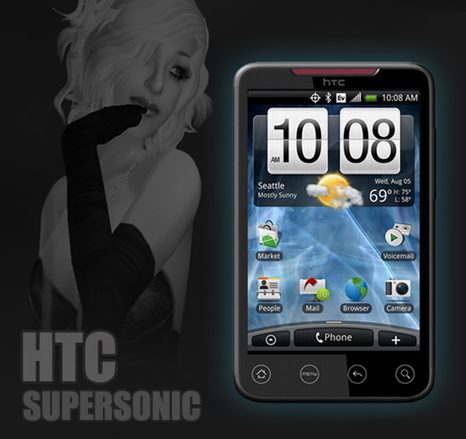 With the HTC EVO 4G coming June 4th for $199 (which we wrote about here), you can do just that. Before now, you needed an iPhone or another carrier (most GSM 3G implementations allow for this). Soon, you can do it right on your EVO 4G with Sprint. Last week, after the announcement of HTC EVO 4G at the CTIA conference, Sprint quickly dropped a bunch of developer documentation onto their Android dev site. Having dugg in a little deeper, we saw confirmation from the horse's mouth itself (Sprint) that the EVO 4G will be running on Froyo - the version of Android following Eclair (2.1). 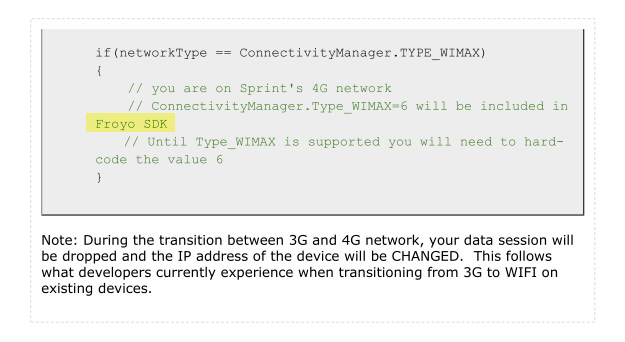 According to the above, TYPE_WIMAX - a constant used for dealing with WiMax connectivity features - should be added in the Froyo SDK. If you're one of over 4 million people living in Houston, TX, your mobile connection options just got a lot better. Clearwire, the company providing WiMax/4G service for Sprint, announced today the launch of its 28th US metropolitan market in the Houston metro area. … coverage extends as far north as Conroe and northeast as Kingwood; as far west as Katy and southwest as Richmond/Rosenburg; as far south as Alvin and southeast as Clear Lake; as far east as Baytown. According to other users who have talked to various Sprint customer service reps, Supersonic is indeed "coming very very soon", which seems to only confirm the rumor. Of course, nothing is 100% until we tune into the announcement… the time of which is currently unknown.